Jennifer Long and Brett Howard planned to marry on St. John Saturday, August 2. Tropical Storm Bertha, however, had other plans. Jennifer, Brett and their friends and family were all staying at the Ritz Carlton on St. Thomas prior to the wedding. Well, when the storm passed through, the Port Authority shut down the ports. That means that the Florida couple and their guests were physically unable to make it to St. John. So Ceremonies of St. John, Jennifer and Brett’s wedding planner, came up with a Plan B. About three hours later, Jennifer and Brett decided they did not want to marry in the Ritz’s ballroom after all. Instead they chose to wait out the storm until the next day. 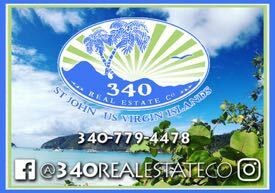 Ceremonies of St. John replanned the wedding, and Jennifer and Brett married at sunset at Trunk Bay on Sunday, August 3. Jennifer and Brett’s story proves the importance of hiring a wedding planner when marrying away from home. Brett, who serves in the U.S. Military, is very disciplined and expected everything to go like clockwork despite the tropical storm. And thanks to Ceremonies of St. John, it did. Transportation in a private car for the bride.